Riverchase Dermatology (North Port) - Book Appointment Online! 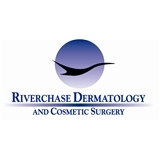 You can rest assured that the skilled providers and staff of Riverchase Dermatology and Cosmetic Surgery are well trained in the latest techniques and procedures. Riverchase is the largest and most comprehensive Dermatology practice in Southwest Florida, treating all types of skin disorders and cosmetic concerns with the latest advances in medicine. However, our guiding principle has remained the same; to treat every patient as if they were family. Riverchase is dedicated to excellence in every aspect of patient care.